Last month, resident Dave Sutherland launched his suburb’s attack on pests in Porirua’s Titahi Bay. Then: “You’re good at killing things and saving things, but your information management is too hit and miss…”. Now: the project connected to that conversation is up for an award for its new information management app. Recently, we lost a “totara” for conservation. 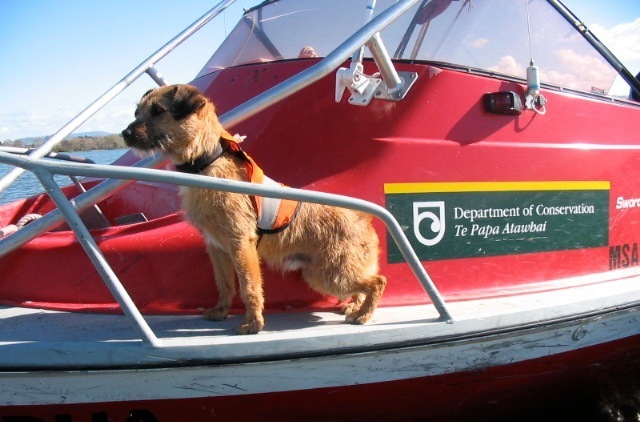 Tiki the conservation dog passed away at the prime age of 11 (human) years. Tiki was based at Motu, in the Gisborne region, with Ranger Joe Waikari and whānau. He was a small Border Terrier cross who specialised in detecting mustelids (weasels, stoats and ferrets). Ranger Joe Waikari describes Tiki as an “energizer battery, he never went flat”. More travelled than most humans, Tiki’s work would take him (and Joe) all over the country: island work; in the back country… anywhere where extensive pest control programmes were in place, to ensure mustelid populations were gone from the area. 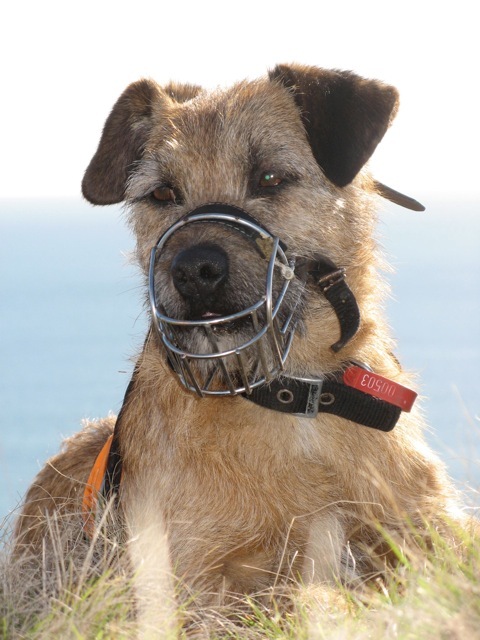 Tiki, was part of the Conservation Dog Programme. These detection dogs are trained to locate specific target species—either protected or predator. This helps the handler to capture and monitor protected species, or eradicate the pest species through trapping, poisoning or shooting. Joe says the highlight in working with Tiki has been “doing our part in protecting our endangered species”. Tiki was also a public relations specialist, winning over the crowds with his unassuming charm. He attended A&P shows and school talks, and he was a great advocate for conservation efforts with many children declaring that they wanted to go home to teach their dogs to be like Tiki. 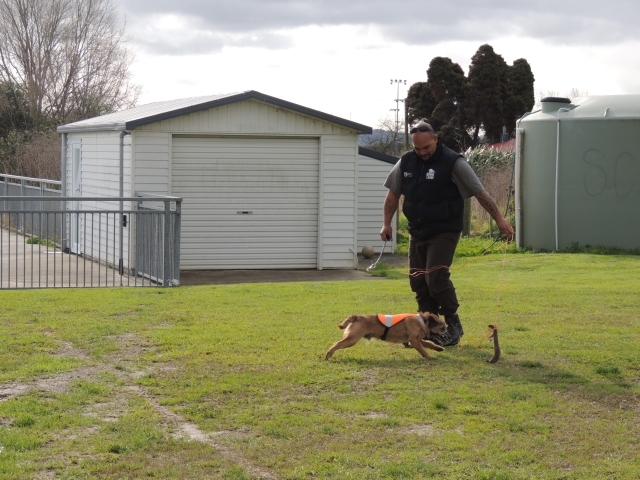 Also a valued whānau member, Tiki was the champion in the small dogs category at the Matawai School Pet Day a couple of years running. Tiki is a tribute to all conservation dogs that quietly go about their work (for cuddles and food), making huge gains for conservation. He whakamaumahara ki a ‘Tiki’, he kuri o te papa atawhai. Moe mai e hoa, moe mai. A tribute to Tiki, the conservation dog. Rest easy friend, rest easy. Today’s photo is of a mōhua/yellowhead, a small insectivorous bird endemic to the South Island of New Zealand. Once abundant in the South Island the population declined dramatically with the introduction of rats and stoats. Today they have vanished from nearly 75% of their former range. Recent pest control targeting rats and stoats has helped to protect mōhua in 10,000 hectares of beech forest in the Catlins. Results shows that mōhua have increased to the highest level recorded since the population suffered a big decline about 14 years ago. Rat and stoat levels will be monitored closely with the predicted large beech mast this autumn to determine whether a pest control response is needed later this year as part of DOC’s Battle for our Birds programme. Photo by Leon Berard | CC BY 2.0.